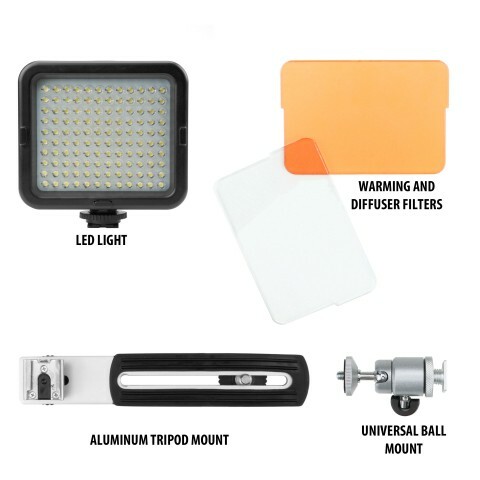 Packed into this compact lighting unit are a whopping 120 powerful, ultra-bright LED bulbs! The dial located on the back of the unit allows you to adjust the LED panel's brightness and find the perfect level for any setting or situation. 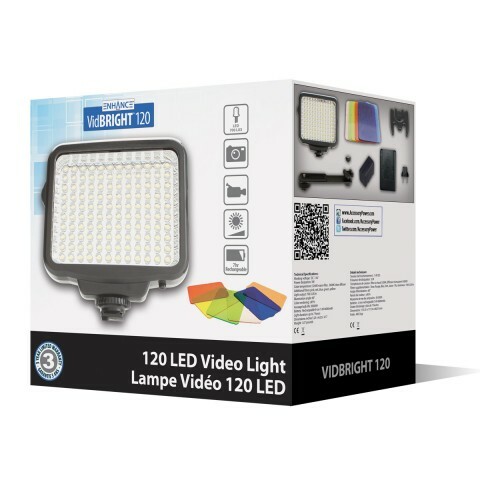 The VidBRIGHT video light comes with a 5600K clear diffuser filter for even, natural lighting effects while eliminating harsh shadows. 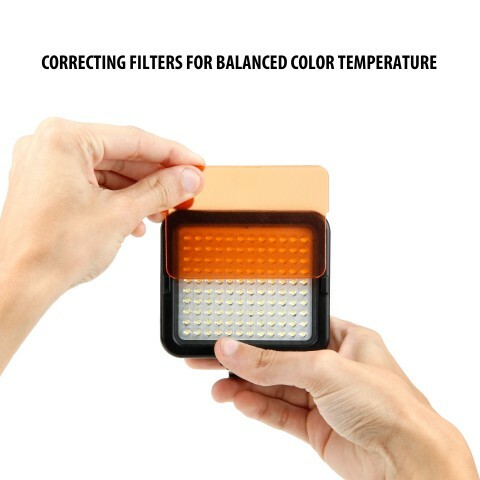 Also included is a 3200K warming filter and five fun color filters (Red, Magenta, Blue, Green, Yellow). 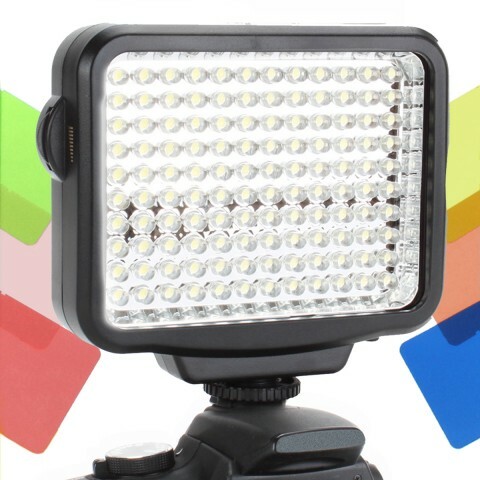 The VidBRIGHT video light can be used with any camera with a tripod or hot shoe mount! 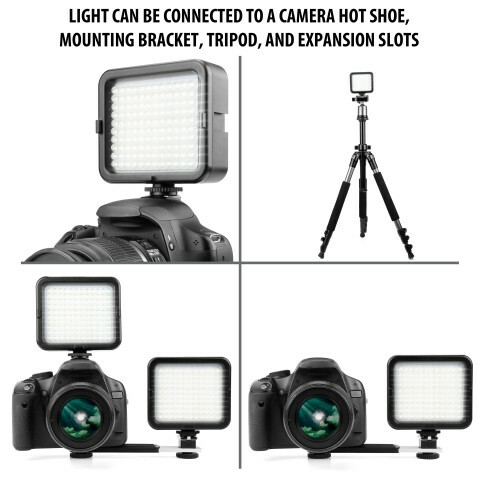 Just slide it into your camera's hot shoe and tighten! 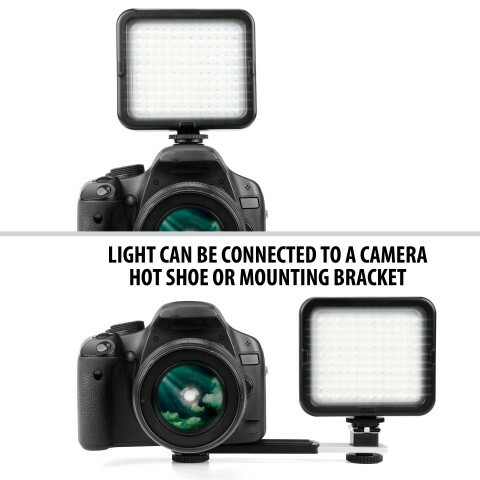 No hot shoe mount? No problem! 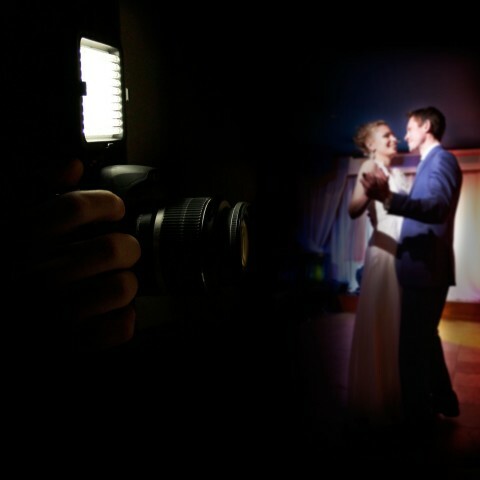 The included bracket can be easily connected to any camera equipped with a tripod socket. 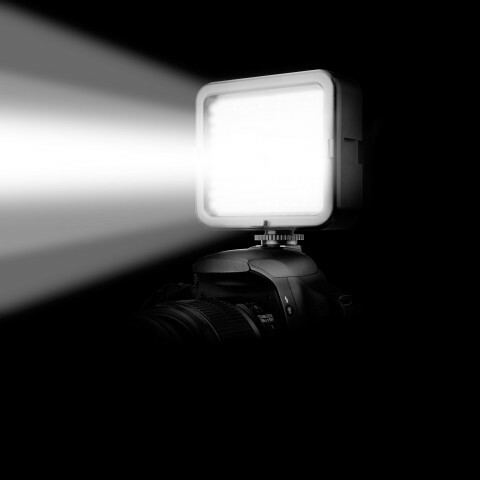 The VidBRIGHT also comes with its own exclusive light stand, allowing you to position the light elsewhere to create different lighting effects! Now you don't have to worry about running out of battery! 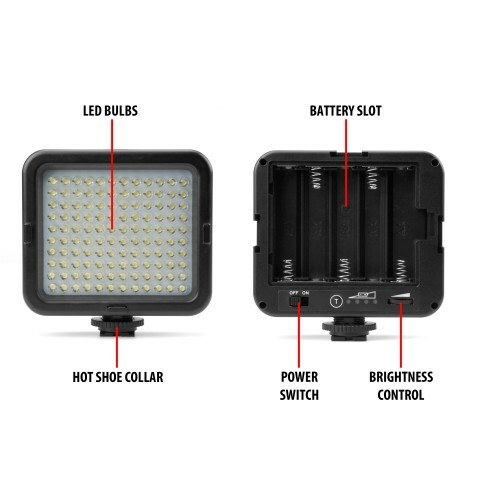 The LED Light is equipped with a high capacity lithium rechargeable battery, so you can enjoy up to 7 hours of continuous lighting!